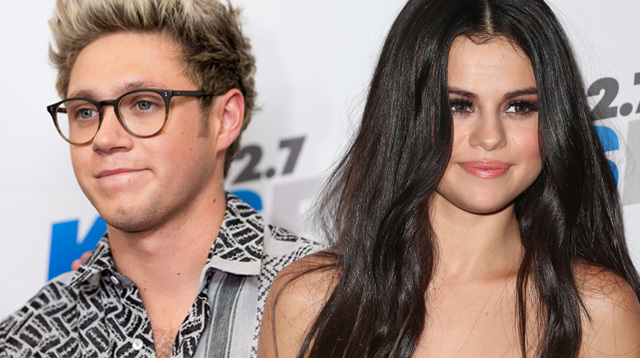 Selena Gomez and Niall Horan have fueled rumors they are dating after they were reportedly spotted kissing at a party on Friday night! Selena, who performed at the Jingle Ball at the Staples Center in Los Angeles, was reportedly seen smooching the One Direction singer at Jenna Dewan-Tatum's birthday party after the gig. According to editors at E! News, a partygoer spotted the pair at Bootsy Bellows nightclub kissing, hugging, and dancing together. Selena's friend Raquelle Stevens shared a photo from the party on Instagram, showing Niall cozying up to Selena while she pulls a funny face. The pair have been dogged by dating rumors in recent weeks after they were pictured dining together in Malibu, California after the American Music Awards in November. Selena and Niall have yet to comment on the report.